At its Feb. 26 board meeting, the Franklin Board of Education honored three Hunter Elementary students for earning straight As for 10 quarters. 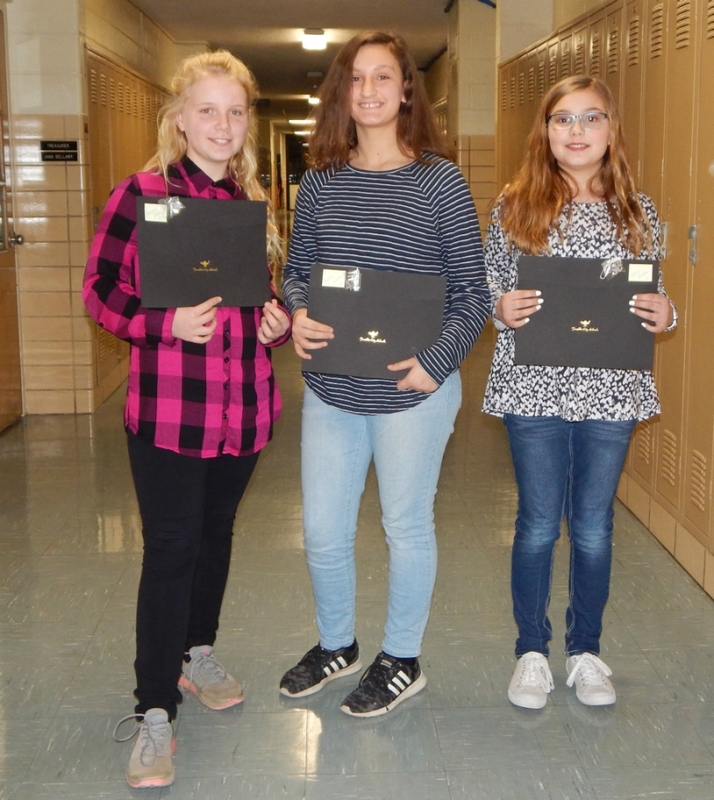 Students honored were, from left: Brienna Dodds (grade 6), Brooke Wallace (grade 6), and Corrie Griffith (grade 5), Franklin established the Student Achievement Award in January 2001 to honor students who have demonstrated exceptional achievement in academics, community service, or character. Hundreds of students have been honored since the award's inception.